Neptune, NJ (January 2019) – Chief Executive Officer Robert Smith of The Allied Group announced the promotion of Pedro Lescaille to President and Chief Operating Officer. “Pedro has navigated The Allied Group over the past 13 years through both challenging times and periods of significant growth in his role as Chief Operating Officer. He has demonstrated his commitment to our Core Values and is a true and trusted leader of our organization,” Robert Smith recently stated while announcing Pedro’s promotion. 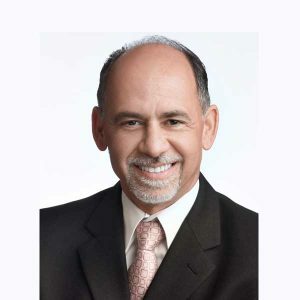 Pedro is a seasoned veteran in the construction industry with over 30 years’ of experience, mostly in leadership roles. He continues to look for every opportunity for growth and fosters a true commitment to excellence that is felt at every level within the company. He will continue to strengthen Allied’s footprint in the hospitality industry and look for breakthrough opportunities in strategic verticals and other geographical areas where Allied’s renovation expertise is easily transferable. Pedro believes the true power of The Allied Group lies in its people. “We want to provide the room to grow ideas, skills, constantly improve our execution and in return, we achieve success together as a team, that is the formula for sustainable growth,” Pedro explained.